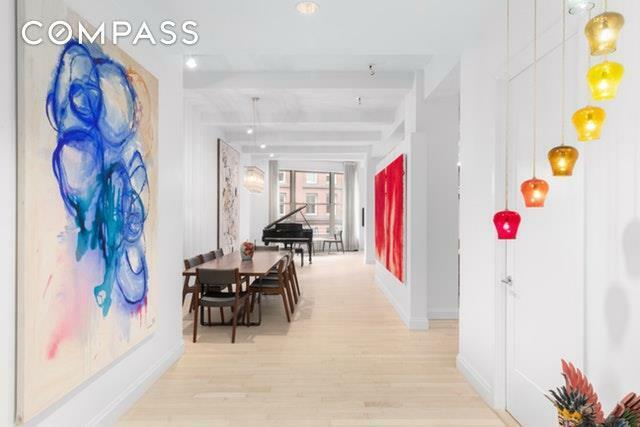 Located on possibly the most charming corner of TriBeCa, directly on the lovely Duane Park, this beautiful loft residence spreads over 3,600SF, offering 11 ceilings and impressive proportions in every room. The space flows from the gracious entrance gallery into the open entertainment space, allowing various ways to design and integrate the dining and the living room. The large chefs kitchen features a built-in dinette and first-class appliances, including Sub-zero refrigeration and a Dynasty stove and grill. The master suite includes two walk-in closets and a spa bathroom with dual sinks, double shower, and a deep soaking tub. 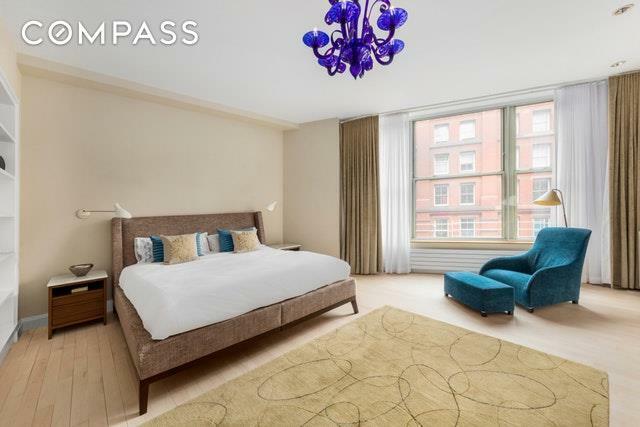 Each of the three additional bedrooms is generously sized with exceptional natural daylight. Rounding out the floor plan is a large multipurpose room which can function as a library, den, or media room. Other outstanding features of this beautiful home are the multi-zone A/C systems and built-in speakers for the SONOS system. 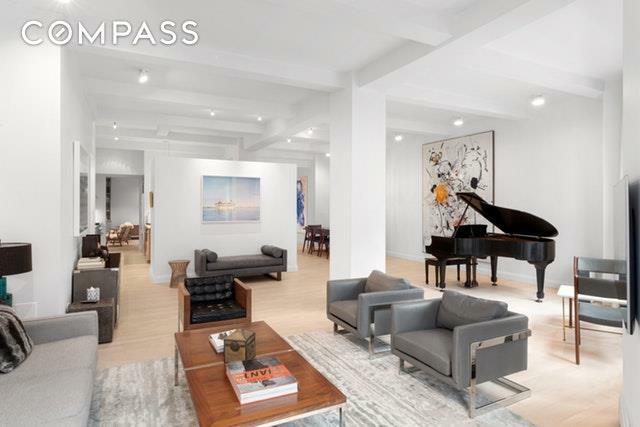 Duane Park Lofts offers a 24-hour attended lobby, resident manager, bike and storage rooms, and a stunning, newly landscaped rooftop designed by Walter Melvin Architects, featuring an outdoor kitchen, dining area, grills, ping pong table, and inspiring views. 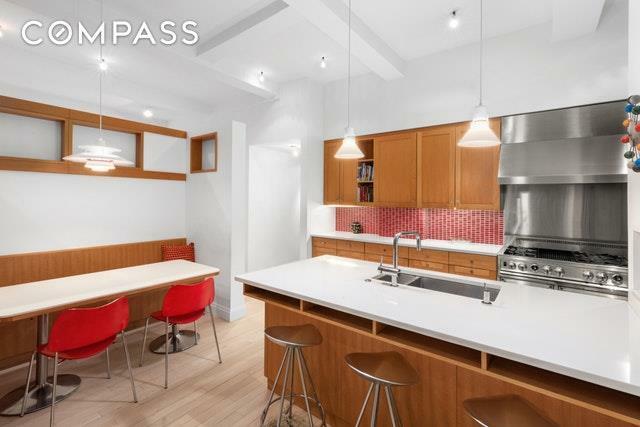 Located in the heart of Tribeca, in close proximity to the Hudson River Park, all retail and restaurants, transportation, Whole Foods and so much more, this home delivers a lifestyle loved by its inhabitants, known as one of the finest zipcodes in the USA. There is a monthly special capital assessment of $1,753.40 expected to end on January 2020.